In 2014, there was an estimated $5.25 billion in sales for Amazon. That is 7% of Amazon’s total $75 billion in total revenue. Amazon’s growing monopoly on sales of books is the back-story to the tale of the disappearance of small independent distributors. They have shrunk by 50%. Although sales in eBooks have diminished over the last year, hardcover sales have increased. Jeff Bezos’ Amazon retains its global grip on important eMarketing channels, creating in its wake a growing problem for independent authors and publishers. The duplicity in the relationship between bookmakers and Amazon has matured over the decades. A union bound by their back pockets, independent authors and publishing houses look to the distribution giant to place hard won publications on its global shelves. With the advent of its market place monopoly, an ongoing legal static has grown. Drawing the ire of the DOJ (Department of Justice) and other publishing giants, Amazon has conceded some of its power. Although the legal wrestling has produced some concessions Mr. Jeff Bezos’ still holds tight the reins on universal sales of media. The latest in legal settlements caused a new door to squeak open in the world of digital distribution last month. A new relationship in the publishing world began January 5, 2015. Joining other publishing giants, Simon & Schuster and Hachette Book Group, in calling for parity and winning pricing privileges is the ancient giant Macmillan Publishing Group. Its Chief Executive John Sargent praised a new legal binding agreement with Amazon. The 64% of Macmillan’s eBook business processed through Amazon will retain the right to its own pricing controls. In its efforts to broaden eMarketing channels, Macmillan in partnership with Amazon is testing a new subscription model that will enable “pay per read”. 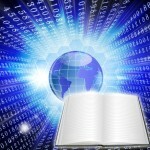 This protocol will offer expansion of reader base and revenues streams to publishers and authors. The collaboration is genius. Quantifying the true value of an author’s work is difficult. This new subscription model designed for authors and publishers will not result in loss of revenue. Rather the cost per read will equate the same in market share. This monetizing of a media site is not nascent. Web building applications like WordPress offer plugins to accommodate. “Pay per read”. Enabling subscribers to pay in order to access desired reading. The market maker in media distribution continues to own the power to bend the curve in global readership. Nevertheless, the growing trend beginning in 2014 is the emergence of the independent bookmaker and publisher. No longer bound by traditional publishers, indie authors are emerging as a powerful monetary force. Increasing sales makes them a very important part of the publishing ecosystem. The trending explorations to open new uncharted avenues for channel marketing make it important that bookmakers and publishers know what their digital distribution options are. With the advent of the “pay per read” for writers, some control of pricing and distribution is returns.